In two short days, my baby girl has to get her 2 month shots. Oh, how I dread it. To the very core. She’s oblivious. She doesn’t know what is up ahead. But I do. She is content and happy, living in her little 2 month world. Trusting her mama and daddy to take care of her, without a worry in the world, unsuspecting of what is to come. I want to prepare her. I’ve tried telling her about it, reassuring her that it won’t last long, that everything will be okay, that it’s not meant to harm her, but it’s to protect her in the future. But she doesn’t understand my language. I want to avoid this necessary evil. But I know she needs it. When my old cowdog Fancy had to be put to sleep, I couldn’t stand it. It was the best thing for her, as she was in a lot of pain. My mother and I took her to the vet, and as much as I wanted to stay and pet her head while the needle was injected, I just couldn’t bear it. I left the exam room and cried in the waiting room instead. It was just too much. 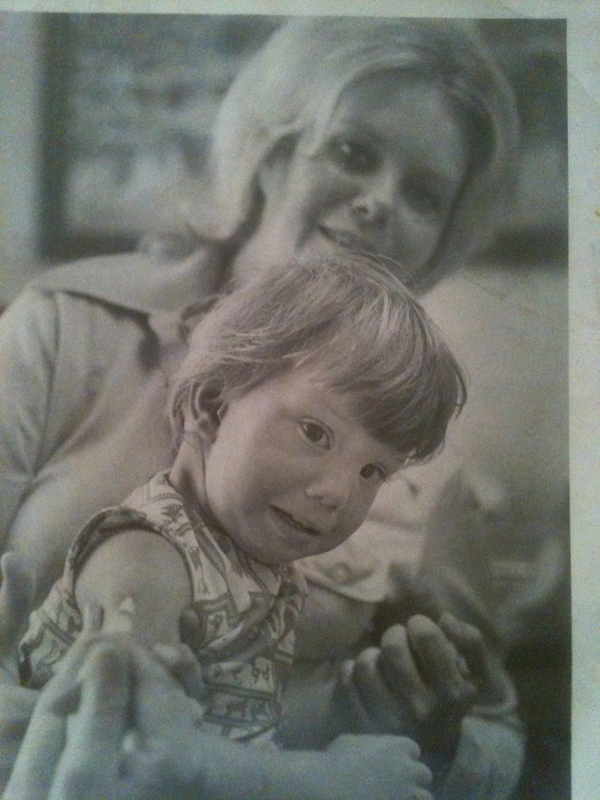 My mom stayed with her as she closed her big, brown, trusting eyes for good. I wish now I would have stayed with her, letting her know I was there. With EK, I want to escape as well. I want her dad to stay with her and I would rather wait in the waiting room and not witness her going through the pain. But I would never leave her. I will endure her cries, and hold her tight, and comfort her. We are told in the Bible that we cannot know God’s thoughts. Isaiah 55:8 My thoughts are not your thoughts. Neither are your ways, my ways, declares the Lord. But sometimes, I believe He allows us, in our mortality, to experience small, ever so minute glimpses of His ways. He, as our Heavenly Father, sees the big picture. He knows what is coming our way. He knows our tomorrow and the days after that. He too wants to protect us from the pain and discomfort of our “shots”, but perhaps it is better for us in the long run to experience them now. When we receive word of death of a close one, or a troubling diagnosis, or loss of a job, or relationship, we are rattled, shaken, and upset. We don’t understand why it happened, but God does, and also why it needed to happen. We may be caught off guard, but He never is. And perhaps He too tried to prepare us. Maybe He spoke to us, told us it wouldn’t last long, that it will all be okay, that it is not for harm, but for our good. But we don’t always understand His language. He doesn’t abandon us to wait in the waiting room. He holds us close, speaks comfort and wipes every tear from our eye. What an awesome Father we have. My grandmother had this photograph framed and hanging in her bedroom for as long as I could remember. It is from the local newspaper in 1976. Maybe EK will have a little of her mama in her and handle her shots well also. If you will, send up a prayer for her. And for me. Amen, Angel. I remember my boys getting shots – oh how it tears your heart. But, you stand by the babes and provide comfort and support, just as the Lord provides us. What a wonderful analogy. P.S. You look so much like your mother. Amazing! Not that any of them are fun, but the babie ones to me were easier to handle than the 4 year old shots. With the babies you can give a pacifier or bottle quick after and that seems to comfort them. The four year old ones, (If I remember right they give 4 – 2 in each leg) are awful. They are old enough to know what is going on and you have to help hold them down and the pacifier and bottle are long gone. That was the only time I Bribed or treated my kids for doing well at the doctor. It just made me feel so awful. I took Alli the first time and it was awful. Begged and pleaded with Dave for him to take Riley and Riley didn’t make a big deal out of it. Go figure. I will be thinking about you both! I’m sure there is not a mother on earth who hasn’t felt just like you are feeling right now! It is so difficult to see our babies, our loved ones and our pets suffer. God gave us this beautiful “gift” of compassion and we should treasure and nurture it each and every day. I love that your grandmother had the photo for so many years! I’m sure she looked at it often with much pride for her beautiful “children”. (and I see now where Emma Kate gets her lovely eyes) !! You will be in my prayers, as always. Until next time .. Donna H.
You were soooooo brave! I wasn’t! Kids were screamin’ and cryin’ before our turn came. I didn’t know what to expect, but you were so little that deep down, I expected the same…..screamin’ and cryin’! But, then it was your turn, three shots, one in each arm and one in the thigh, and as reported in the newspaper…..no cryin’, not even a whimper!